The internet is outraged over a photo showing dozens of packaged bananas stocked in a Woolworths supermarket – but can you work out why? Woolworths has been slammed online after an outraged shopper posted a photo showing hundreds of bananas packaged in plastic. The image of the bananas, stacked on pallets inside an Australian supermarket, was posted to Reddit on Saturday and quickly attracted over a hundred comments. 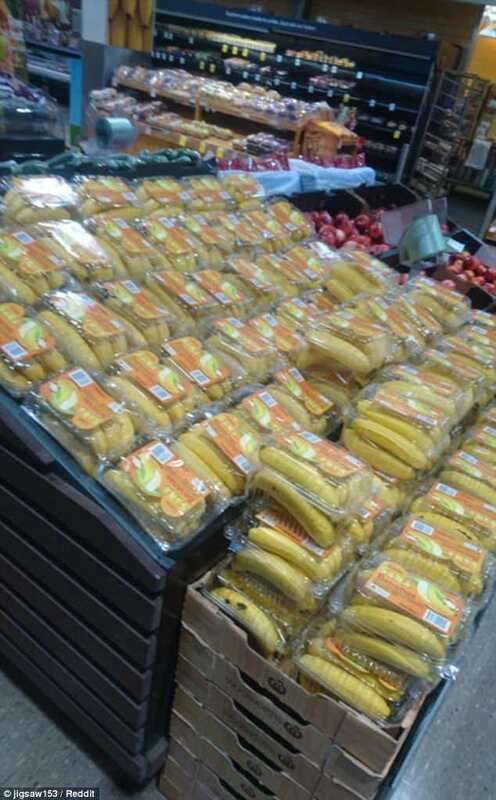 ‘Bananas now need packaging it seems,’ the user posted online. ‘They come already pre-packaged by nature!’ someone replied. Many lamented the overuse of plastic packaging, claiming the packaging had nothing to do with freshness and more to do with the supermarket giant maximizing profits. The overuse of plastic in supermarkets has been a source of contention among Australian consumers. Dozens of people posted their own theories for why the bananas were individually packaged. ‘It’s to ‘force customers to buy in awkward sizes,’ one person said. The progression to auto-checkouts was also a topic of discussion. ‘My guess is Coles/Woollies are slowly preparing us for an all ‘automatic check-out’: Pre-packed and priced,’ one person wrote. ‘I already try not to buy fruit and veg from Wollies/Coles and this might be the last straw for general groceries too,’ a disgruntled shopper said. ‘The world’s usage of plastic is completely out of control, and our recycling systems just aren’t keeping up. Already we have a massive issue with recycling. The packaging outrage is the second in less than a year for the super market giant after Woolworths were called out for wrapping their vegetables in plastic last April. 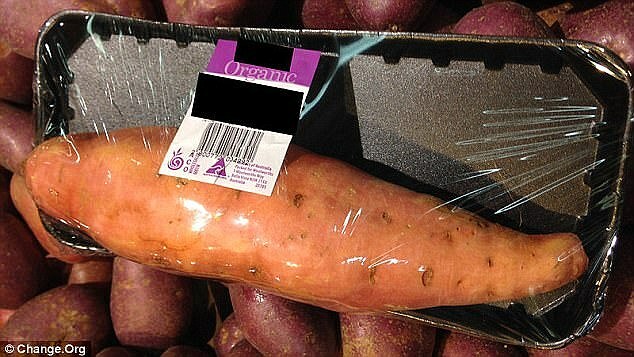 The supermarket was slammed by environmental experts after it packaged one organic sweet potato with plastic. Months later they came under fire after they packaged their sweet potatoes again. 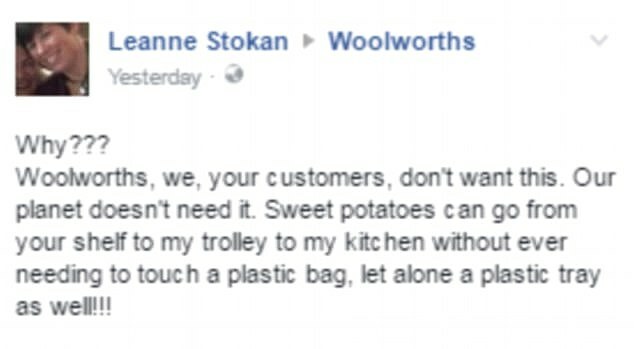 The image was posted on to Woolworths’ Facebook page and shared more than 1,600 times with comments of concern. ‘Woolworths, we, your customers, don’t want this. Our planet doesn’t need it,’ shopper Leanne Stoken said in her post. 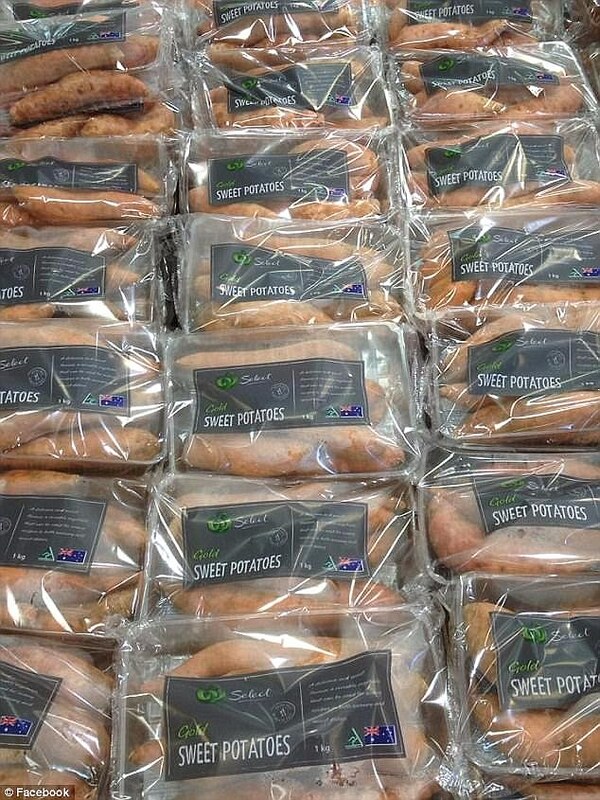 Both Woolworths and Coles said they use the plastic packaging to ensure the food stayed in fresh conditions on the shelves and it is preserved through the supply train. ‘We will continue to work with all of our suppliers to actively pursue packaging alternatives that reduce the amount of packaging or increasing its recyclability where possible,’ a Woolworths spokeswoman told news.com.au last year. 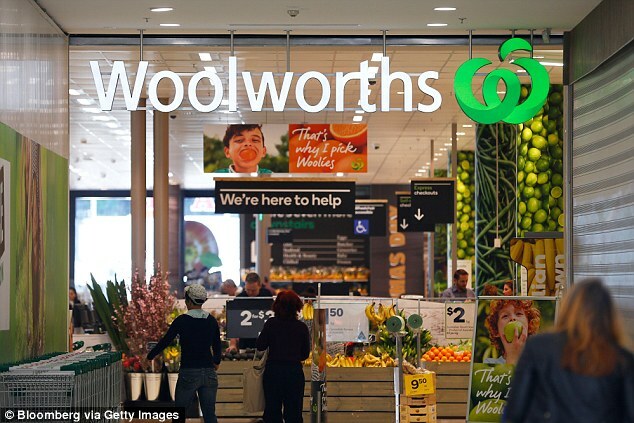 Daily Mail Australia has contacted Woolworths for comment. Were our grandparents really healthier than us?